In recent years many public colleges have attempted to attract and enroll high-achieving and diverse out-of-state students. Understanding why admitted out-of-state students choose to accept or decline their offers of admission has become an important part of these institutions’ efforts to achieve their enrollment goals. In this study, out-of-state students admitted to a public research university over a period of 5 years are tracked using the National Student Clearinghouse database to establish their destination institutions. The dependent variable reflects the type of institution chosen by these students, i.e. private or public, in-state or out-of-state, 4-year or 2-year. The baseline group is composed of those out-of-state students who chose to enroll at the study institution. Mixed multinomial models are estimated using the R mlogit package. Findings indicate that the type of institution these students choose is associated with their high school performance and their parents’ educational attainment and income, as well as with the financial aid they were offered by the study institution. I would like to thank Dr. Drew Clark and two anonymous reviewers for their comments and suggestions to the previous drafts of this manuscript. Bound, J., Braga, B., Khanna, G., & Turner, S. (2016). A passage to America: University funding and international students. NBER Working Paper, 22981. Retrieved March 20, 2018 from http://www.nber.org/papers/w22981.pdf. Burd, S. (2015). The out-of-state student arms race: How public universities use merit aid to recruit nonresident students. New America. Retrieved March 15, 2017 from https://www.newamerica.org/education-policy/policy-papers/out-of-state-student-arms-race/. Chetty, R., Hendren, N., Jones, M. R., & Porter, S. R. (2018). Race and Economic Opportunity in the United States: An Intergenerational Perspective. Retrieved March 28, 2018 from http://www.equality-of-opportunity.org/assets/documents/race_paper.pdf. Croissant, Y. (2015). Estimation of multinomial logit models in R: The mlogit packages. Retrieved March 19, 2015 from http://cran.r-project.org/web/packages/mlogit/vignettes/mlogit.pdf. 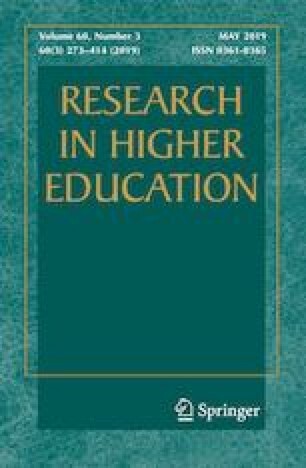 Ehrenberg, R. G. (2003). Method or madness? Inside the USNWR college rankings. Cornell University ILR School Working Papers. Retrieved on March 23, 2017 from http://digitalcommons.ilr.cornell.edu/workingpapers. Ryman, A. (2013, February 7). Colleges covet out-of-state students. USA Today. Retrieved September 1, 2015 from http://www.usatoday.com/story/news/nation/2013/02/07/arizona-colleges-out-of-state-students/1899499/. Train, K., & Croissant, Y. (2015). Kenneth Train’s exercises using the mlogit package for R. Retrieved March 19, 2015 from http://cran.r-project.org/web/packages/mlogit/vignettes/Exercises.pdf. National Student Clearinghouse (n.d.). StudentTracker Frequently Asked Questions. Retrieved from http://www.studentclearinghouse.org/colleges/studenttracker/faqs.php).